JASON VOORHEES IS BACK IN FRIDAY THE 13th: THE GAME! Fans can also become a part of horror history by supporting Friday the 13th: The Game’s Kickstarter page.Lexington, KY — Oct. 13th,2015 — For the first time in more than twenty-five years, Friday the 13th is returning to the video game world. Gun Media and IllFonic, in partnership with Crystal Lake Entertainment, are proud to announce that Friday the 13th: The Game is set to launch next Fall, 2016. “As you can imagine the conversion from Slasher Vol.1: Summer Camp to Friday the 13th: The Game was a dream come true for our entire team” explained Ronnie Hobbs, of Gun Media. 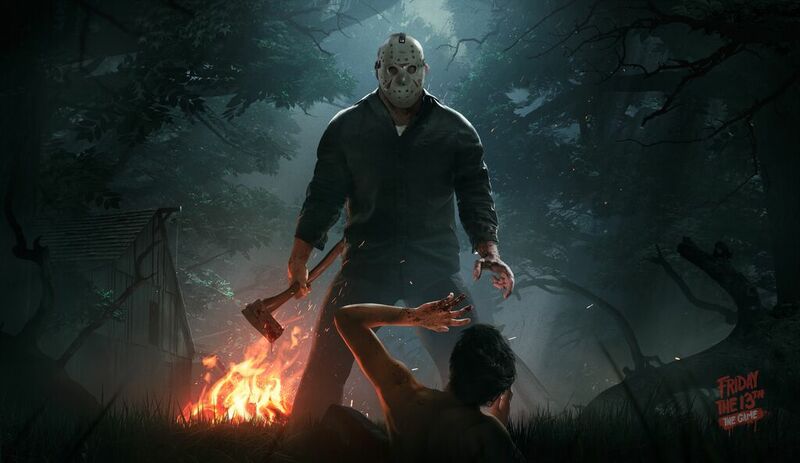 “1v7 asymmetrical multiplayer is a perfect fit for this franchise, and we can’t wait to share our creation with fans across the world.”“It’s been nearly 30 years since fans have had the opportunity to experience a Friday the 13th video game.” explained Sean S. Cunningham, creator of the Friday the 13th franchise.